Iron Maiden have announced dates for the 2019 South American leg of The Legacy Of The Beast world tour. The four-concert series will begin in Mexico City on September 29 before hitting Brazil’s Rock In Rio and Buenos Aires, Argentina before a closing show in Santiago, Chile on October 15 (see dates below). The fall 2019 dates will follow the completion of the just-announced 33-city North American run, which will open in Sunrise, FL on July 18. 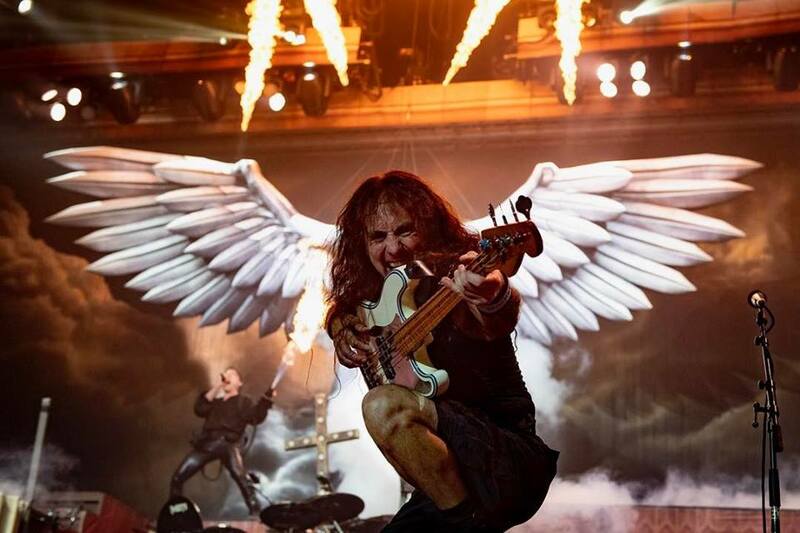 “We gave a lot of thought to the set list for this tour as the songs needed to follow the narrative of the changing worlds of the stage show,” says bassist Steve Harris. “We feel we ended up with a very strong and well balanced set mixing songs we haven’t played in many years like ‘Flight Of Icarus’, ‘Sign Of The Cross’ and ‘The Clansman’ with songs we know the fans want to hear like ‘The Trooper’, ‘2 Minutes To Midnight’, ‘The Number Of The Beast’, ‘Fear Of The Dark’, ‘Run To The Hills’, ‘Hallowed Be Thy Name’ and others, reflecting the journey through the different themes of the show. An exclusive pre-sale for Iron Maiden fan club members is underway now, with general public tickets going on sale beginning Friday, November 16 at 10 AM local time.